Here's a photo I found from my days at 93.7 KRQ. 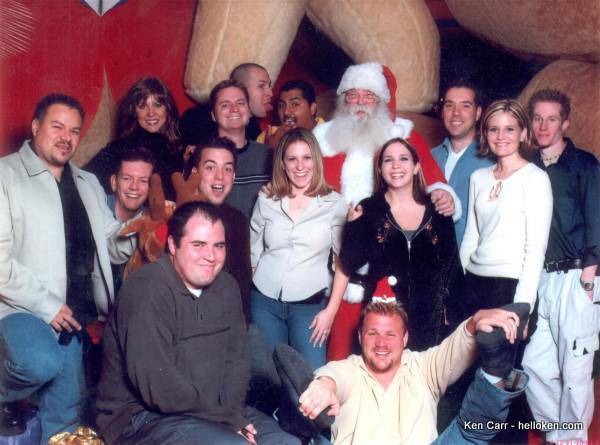 It was a staff photo at the Tucson Mall with Santa in December 2003. It was then Program Director Steve King's idea for all of us to go to the mall for this photo. I was the big dork in the back doing a fake ear licking of Polo. Anthony ate ANOTHER whole cake! Flashback: Mega Movie - "Mouth Hunt"